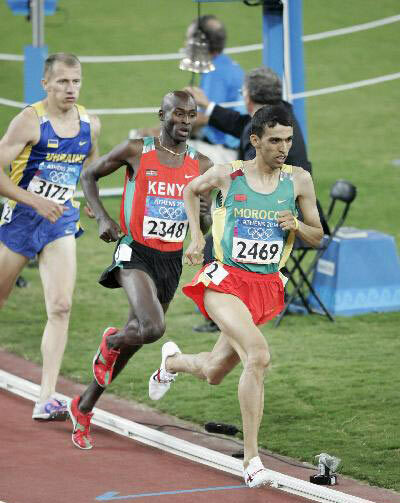 "When he presents himself at the start, the other athletes in their minds are running for second place," Ndayisenga said. 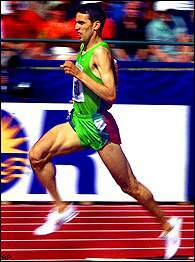 He said he had been amazed to see el-Guerrouj, a miler, training like a marathoner, running 13 to 15 miles in an hour and a half. 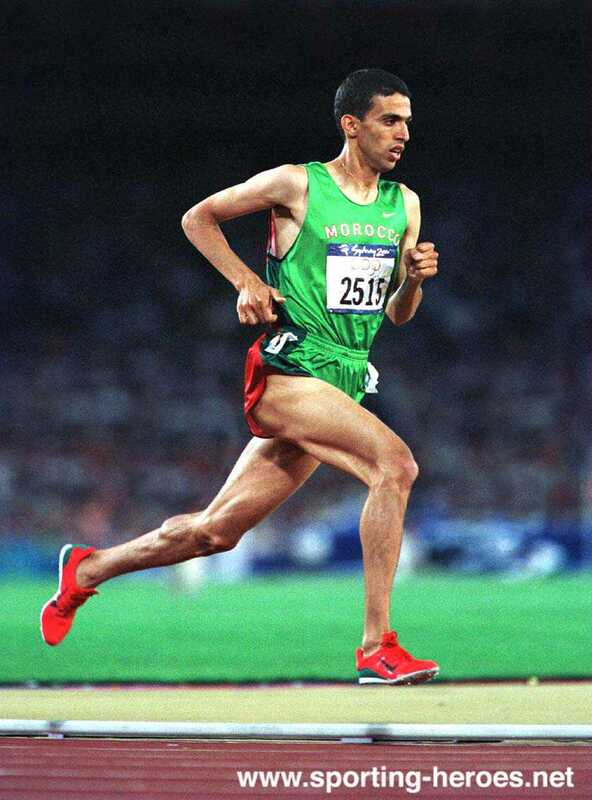 El-Guerrouj also trains like a sprinter, running sometimes with a weighted jacket, dragging a tire, and he does bounding drills to increase the propulsion in his ankles. The mile has come to resemble the brutal pace of the 800 meters and el-Guerrouj better than anyone has perfected the grueling training for speed and endurance. For this workout there are no pre-set conditions, he is not asked any specific pace. However, he is demanded that he runs at his maximum at that moment, this varies from day to day and has nothing to do with the season. 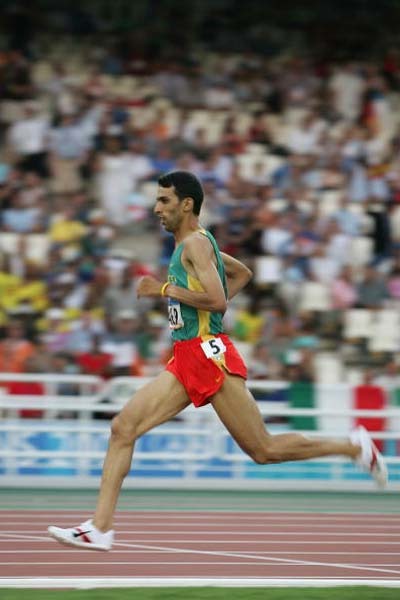 So, this means that El Guerrouj can run one day between 3:00-3:10/km pace and sometimes at 2:50/km.